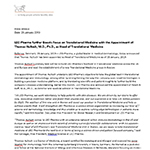 BALLERUP, Denmark--(BUSINESS WIRE)--LEO Pharma, a global leader in medical dermatology, today announced that Thomas Hultsch has been appointed as Head of Translational Medicine as of 28 January, 2019. Thomas Hultsch’s primary task will be to build LEO Pharma’s foothold in Translational Medicine across the US and Europe and lead the establishment of a new Translational Medicine group in Boston. The appointment of Thomas Hultsch underpins LEO Pharma’s objective to take the global lead in translational dermatology and immunology, among other by strengthening the way the company uses novel technologies in building a precision medicine platform, and by translating scientific and patient insights to further build the company’s disease understanding. Earlier this month, LEO Pharma also announced the appointment of Adam B. Raff, M.D., Ph.D., as Director and Medical Advisor in Translational Medicine. “At LEO Pharma, we work relentlessly to help patients with skin diseases. We are driven by our desire to offer new, innovative medicines better and faster than anyone else, and our aspiration is to help 125 million patients by 2025. The addition of the new unit in Boston will boost our position in Translational Medicine and help us achieve exactly that. 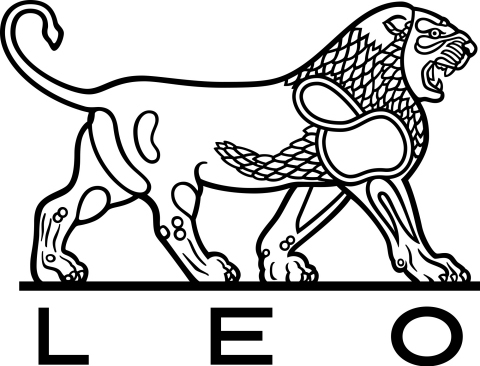 It will strengthen LEO Pharma as a science driven organization by increasing our level of science and dermatology knowledge and thus enable us to explore cutting edge technologies in patients more rapidly,” said Kim Kjoeller, Executive Vice President for Global Research and Development at LEO Pharma. “Thomas Hultsch comes to LEO Pharma with an extensive network within immune dermatology in the US and Europe as well as an impressive track record of initiating successful scientific collaborations. With his appointment as Head of LEO Pharma’s new Translational Medicine Unit in Boston, we are ready to take translational medicine at LEO Pharma to the next level in terms of being a science driven and patient focused company,” said Per Sproegel, Vice President, Medical Science at LEO Pharma. For the full press release, please see the attached document.